Shows for Parties, Schools, and Day Cares! For alphabetical list of shows (no descriptions) & age groups (printable), click here! 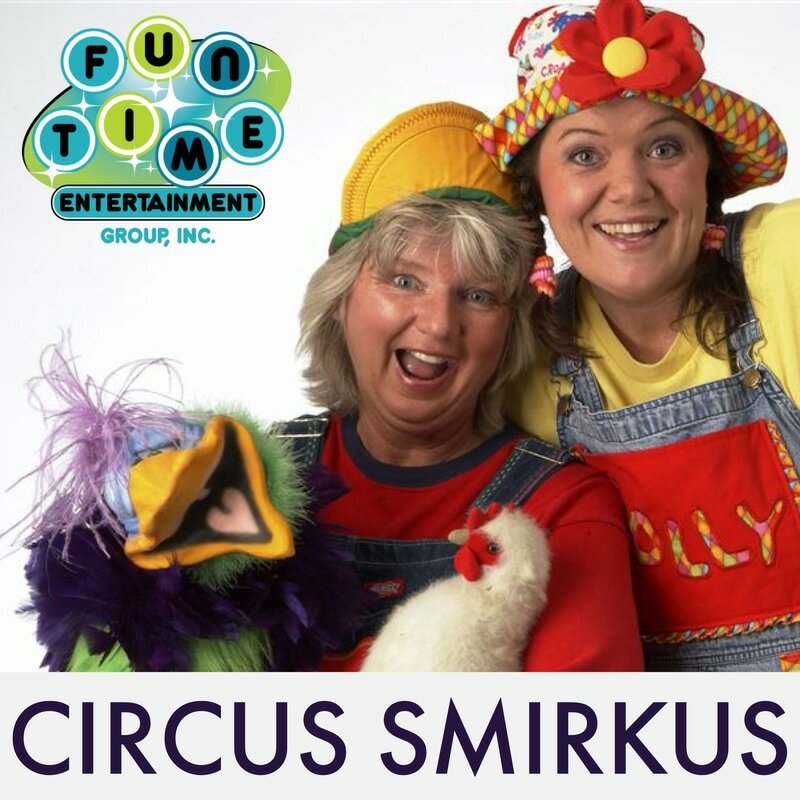 Want to see our clown shows? Click here! Printable documents for individual shows are under each description, below. Do you have a youngster that loves dinosaurs? Are you teaching about dinosaurs in your current school lesson? 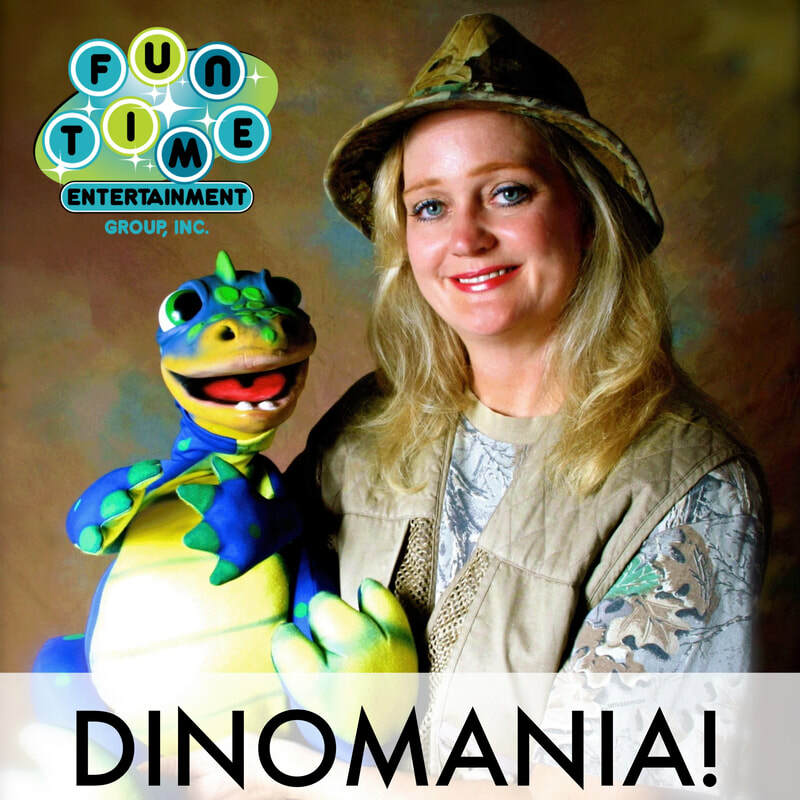 "Dinomania" is perfect for you! "Safari Cinde" will come to your location and perform a 45 minute show with a LOT of audience participation! This amazing show has magic, puppets and lots of music! This show is great for families, birthdays, libraries and schools. It is appropriate for ages up to 3rd grade. 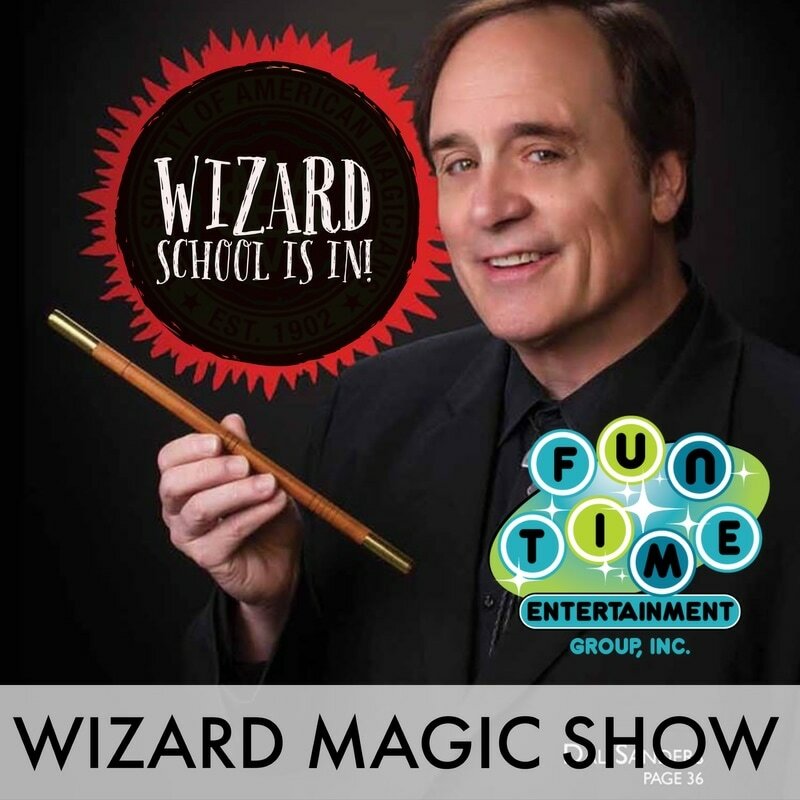 This program is wonderful, helping bring those scientific theories and truths to kids while entertaining them with humor and magic! Some of the scientific principles talked about in this show are air displacement, water evaporation and needles that can penetrate solid latex products! There is even a group game with imaginative play! ​Are you ready for a Christmas show to remember? Our beautiful Mrs. Claus comes to your school or home for a whimsical story time, music and games! 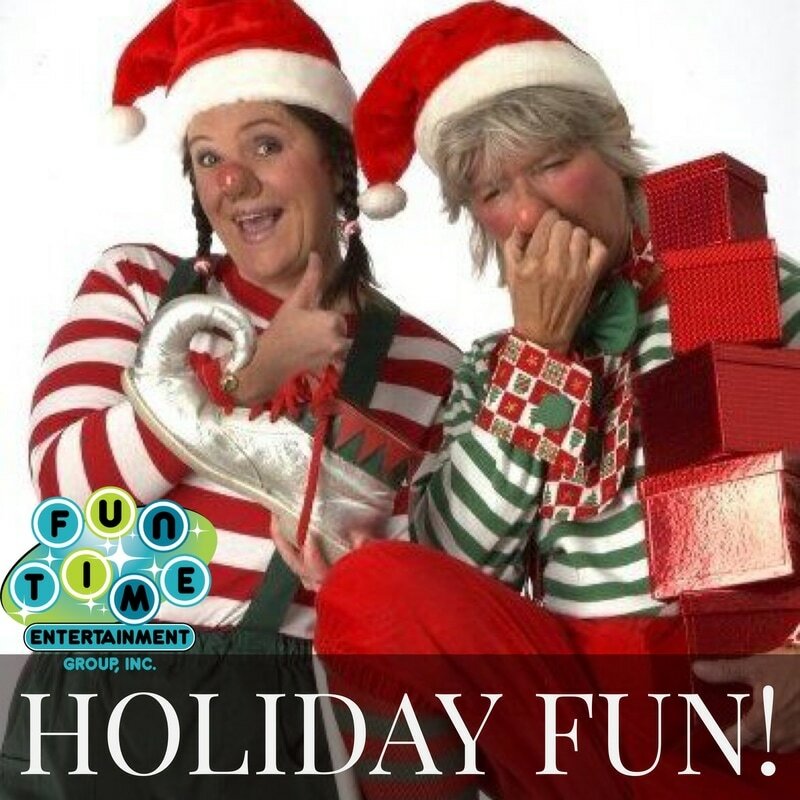 In this 30-minute show, children love learning about Christmas and Mrs Claus! Our Mrs. Claus has a beautiful voice and a long list of theatre credits to her name. Not only that, but she loves being with the little ones! Sister Cat comes to your school or home with a whimsical, rhyming show! Puppets, magic and a focus on words and reading make this perfect for a school setting. This is a highly entertaining, educational show! This program teaches the kids about other children in five different countries. The performers have puppets dressed in native attire and they sing songs about their country. Some of the puppets even sing songs in their native language! Magic tricks and a magic carpet ride are a fanciful part of this fun show! 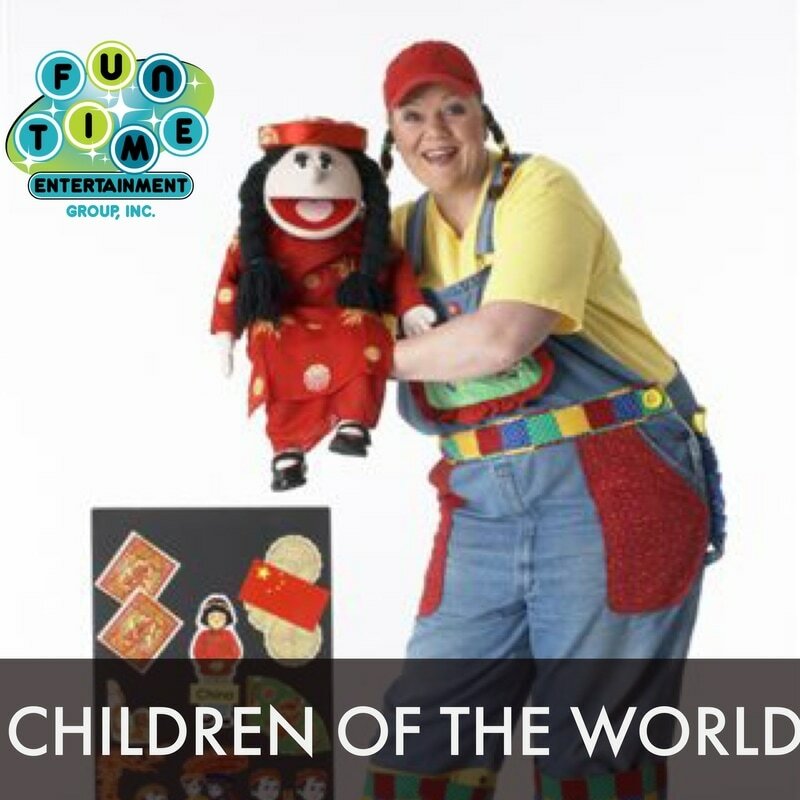 This show is a fun puppet show that encourages reading with a great performance by “Safari Cinde”. It is a 45 minute show for families and children up to about 6th grade. It ends with the production of a live bunny! Are you curious about the Tooth Fairy? Would you like to encourage your little ones to take care of their teeth? Our Tooth Fairy is as magical as she is whimsical! 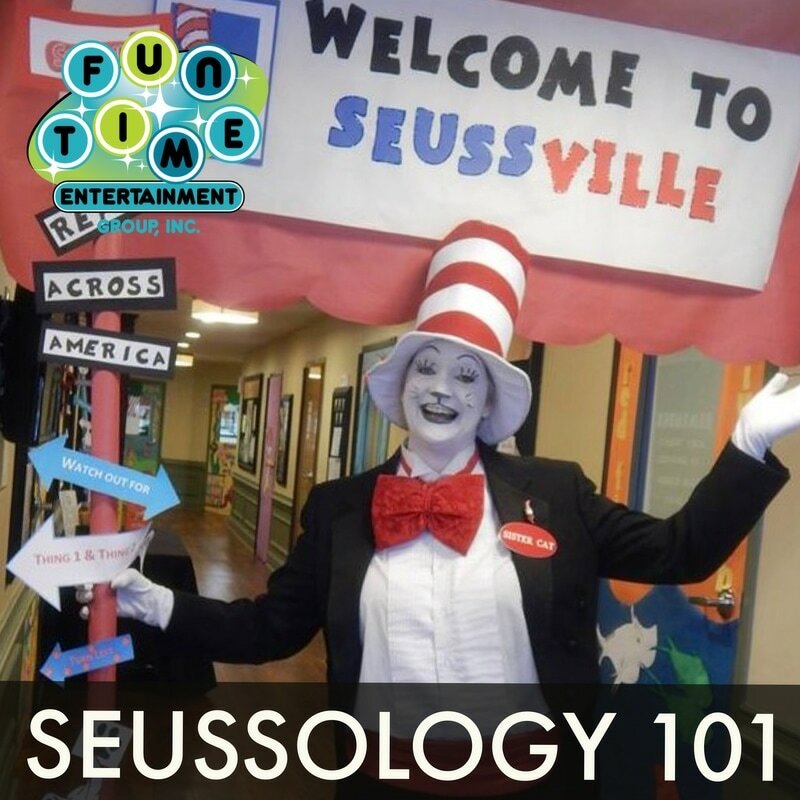 This show is a big hit with day cares and elementary schools! The little ones love the music, the fun and especially the Tooth Fairy! Spring is on its way, and we love to keep the little ones in mind as the seasons change! 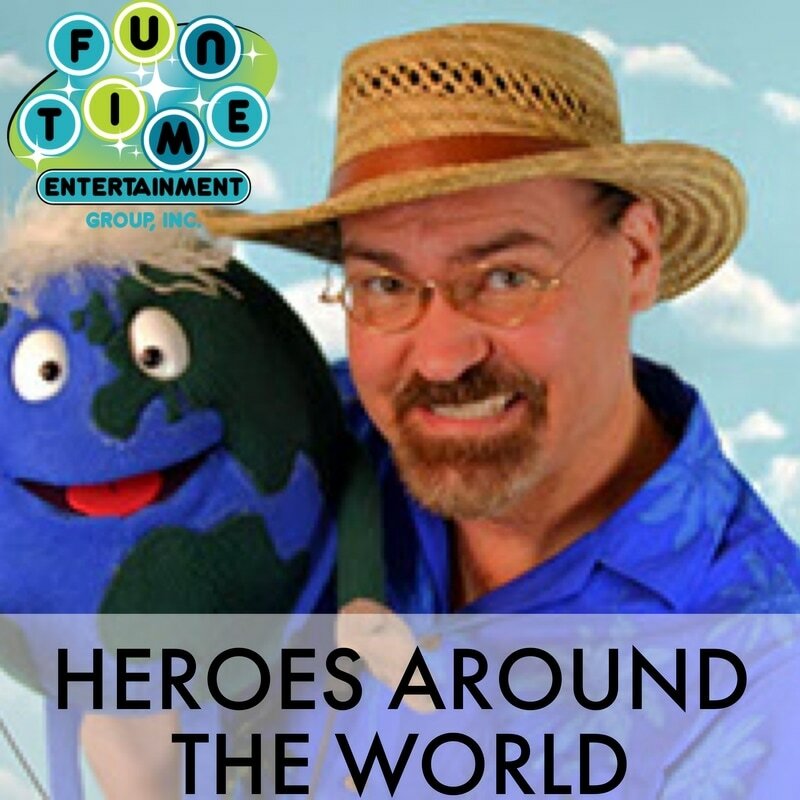 We have a show that is perfect for day care ages as well as young elementary children. 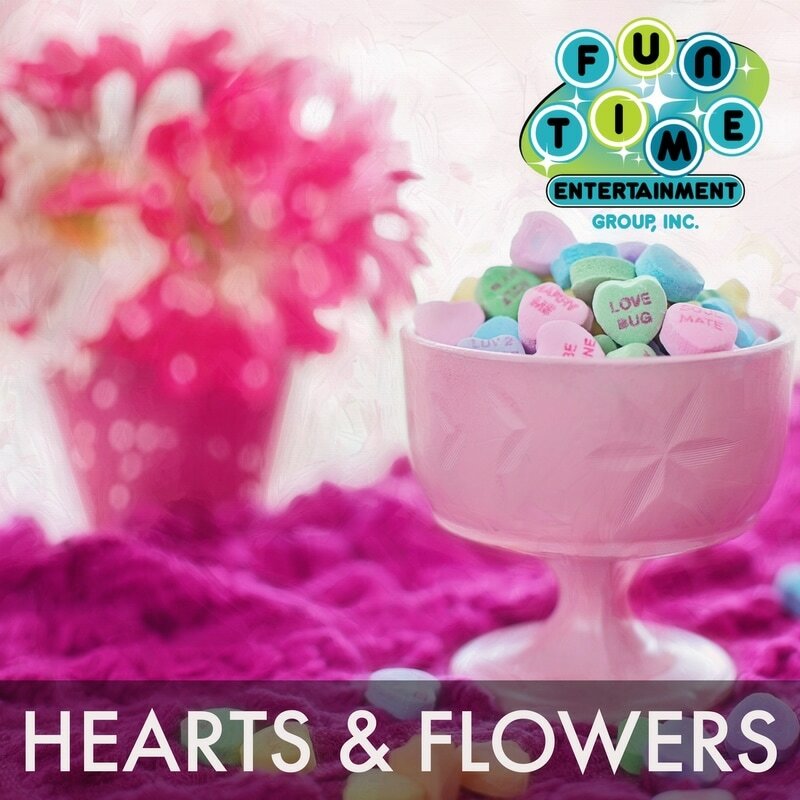 One of our best performers, Cinde has a show that focuses on spring and is full of magic, music and FUN! The best part of the show is the fact that Cinde she produces three live rabbits during the course of the show. Kids LOVE the animals and enjoy the surprise of their twitching noses and furry ears! 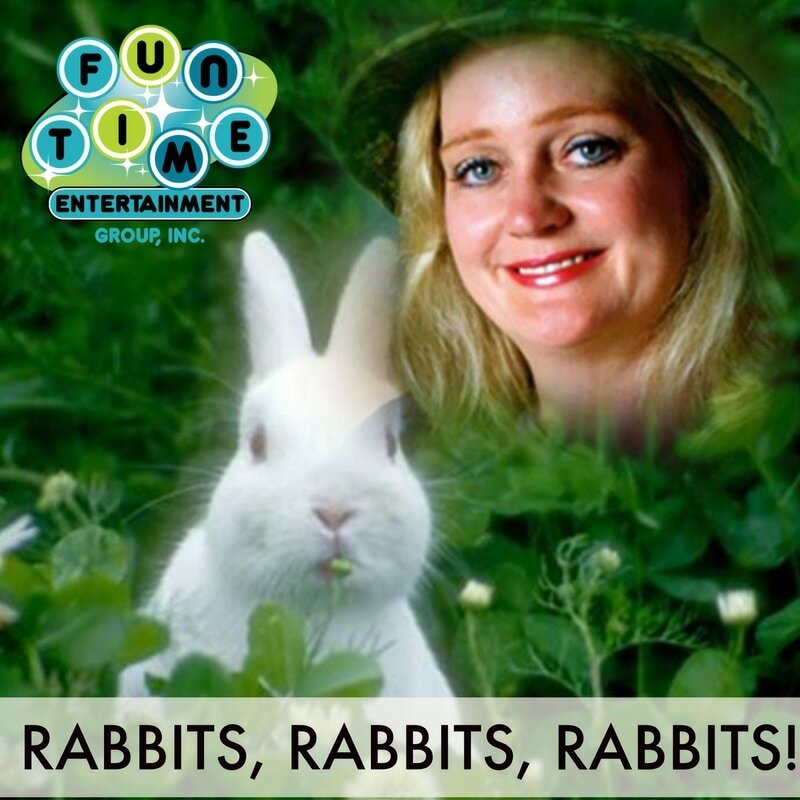 Cinde is one of our most requested performers, and right now, we are taking bookings for her adorable spring show, "Rabbits, Rabbits, Rabbits"! 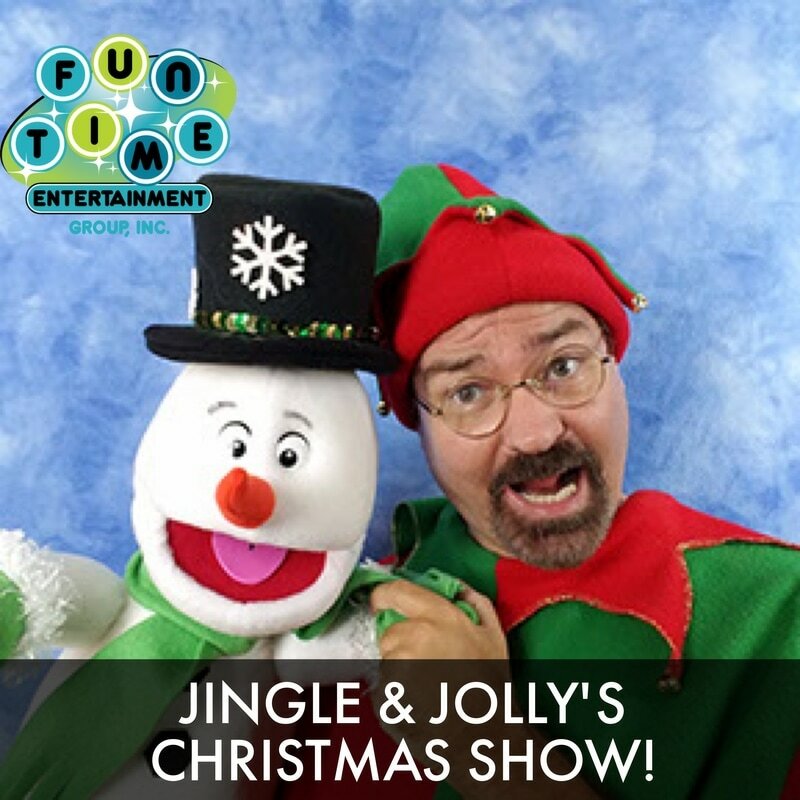 Churches, schools and family gatherings are the perfect setting for this entertaining show! 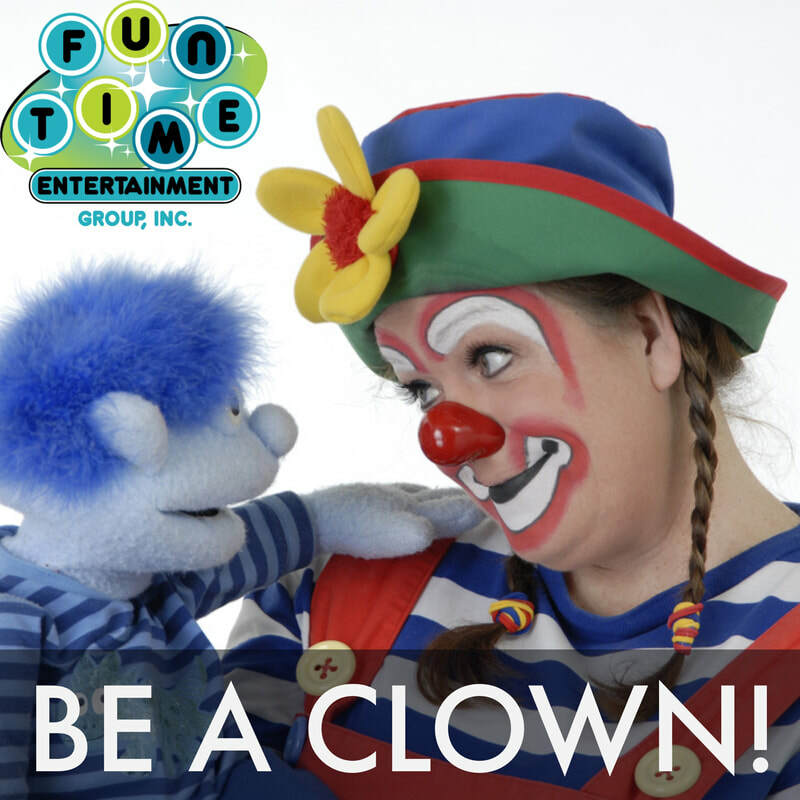 This program introduces children to the art of clowning. Your performer will transform 3 pre-selected children (you select the children) into a clown before your very eyes! 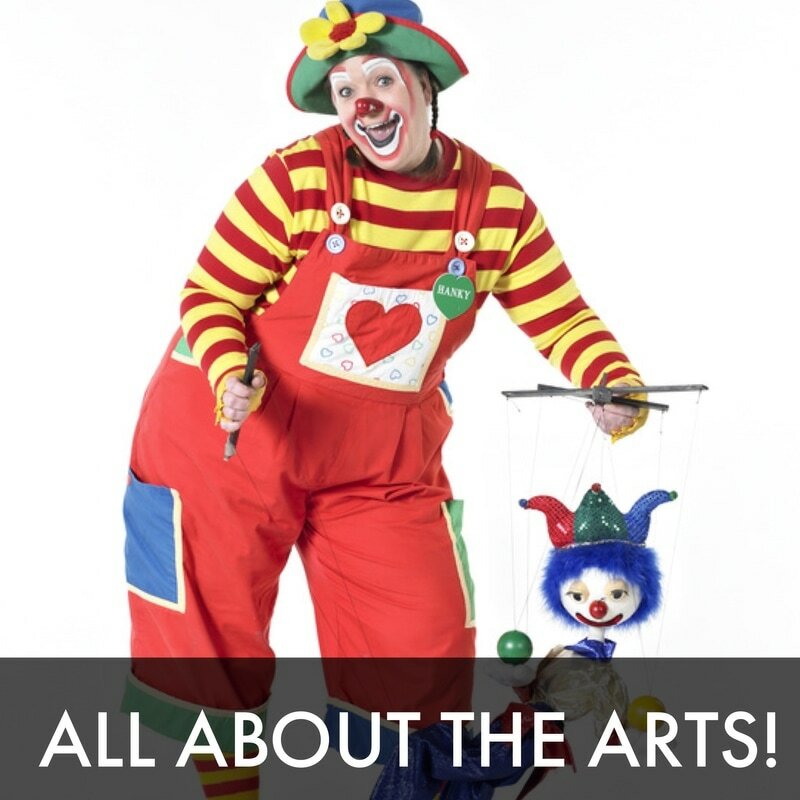 Children will learn about clown make-up types, clown characters, and a little history of the art of clowning around. The “clown kids” will even perform a quick spinning plate routine! Our friendly scarecrows are ready to have fun! They come with music, puppets and magic to share with the kids. The children will have a blast with the friendly marionette puppets (spider, ghost, skeleton, & scarecrow) that dance to fun songs. 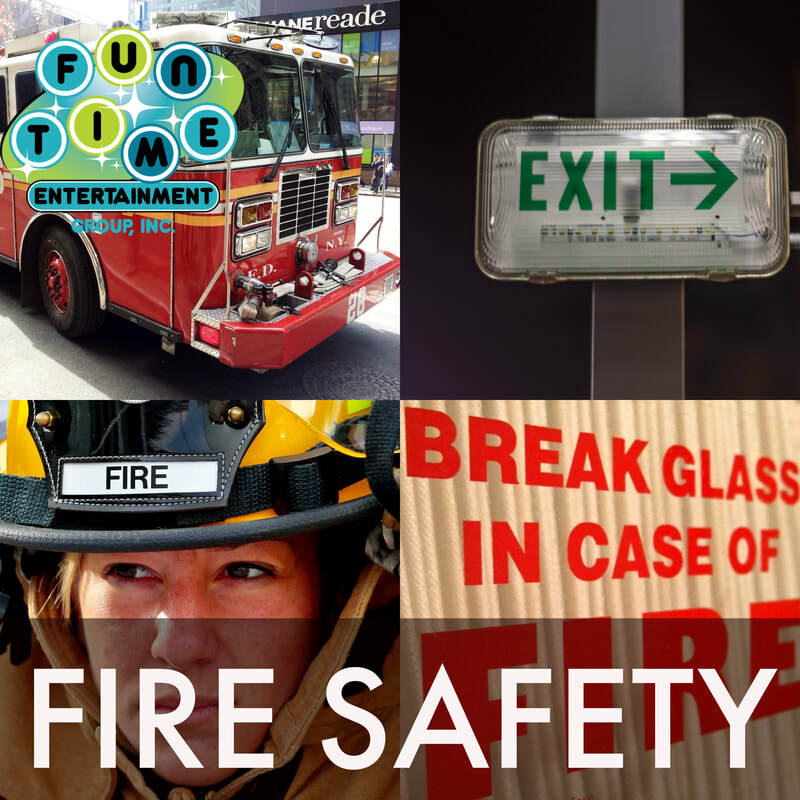 Safety issues are addressed while dressing up two audience members (kids) in costumes. Kids will learn rules about going to fall festivals or trick-or-treating. Our friendly scarecrow even makes a green monster disappear! Our performer comes to your school or home as a weather forecaster with detailed maps of the USA. 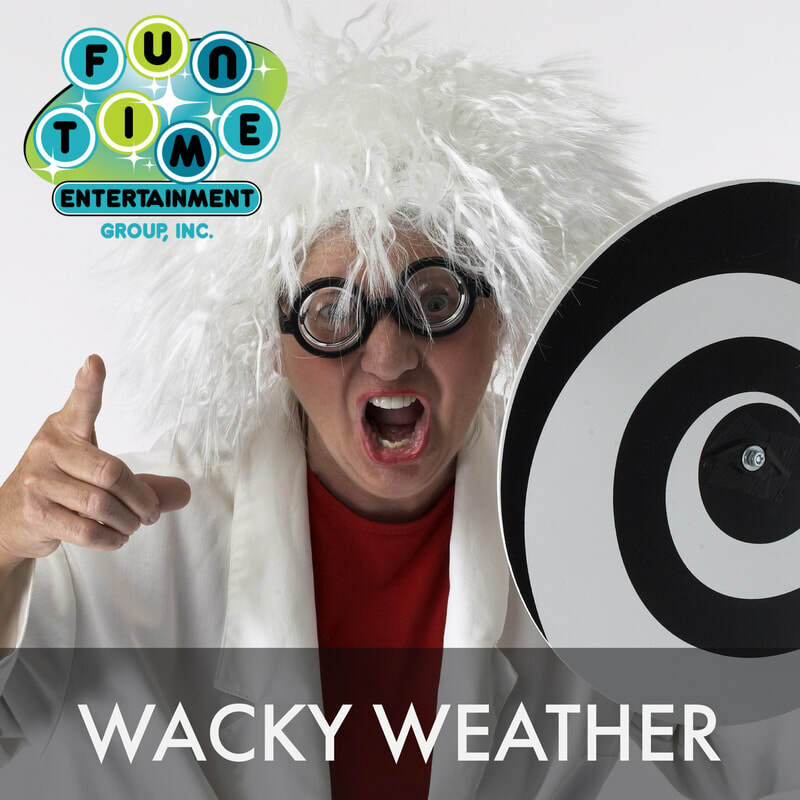 Everyone has a great time as our weather forcasters cover droughts, floods, tornadoes, volcanoes and snowstorms in a fun and educational way! 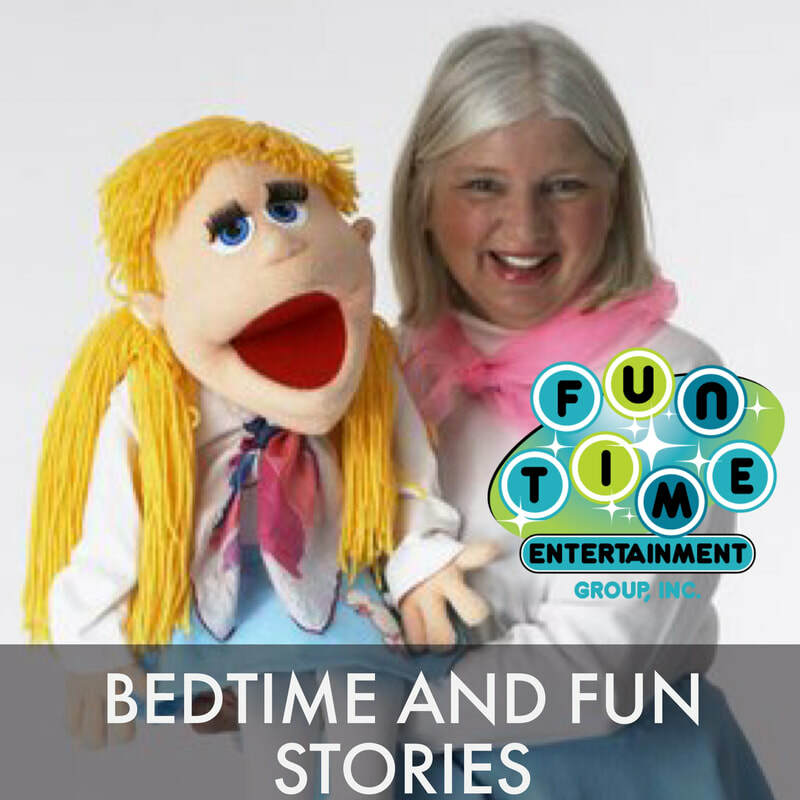 Our performer comes in jammies and makes bedtime lots of fun! Songs and dances, story time, Teddy Bears, and a magic bag for counting sheep and Z’zzzzzzzz’s are a fun way to prepare for bed. (or for a nap) This show is fun for little ones! Our performers, either Susan or Tricia will stress only 3 facts in this safety message. Don’t play with fire, if you smell smoke – get down and crawl out, and if clothing is on fire – stop, drop, cover your face and roll. They will review other safety measures but focus on the three. During this show, our performers actually demonstrate and practice the drills and have an oral test! 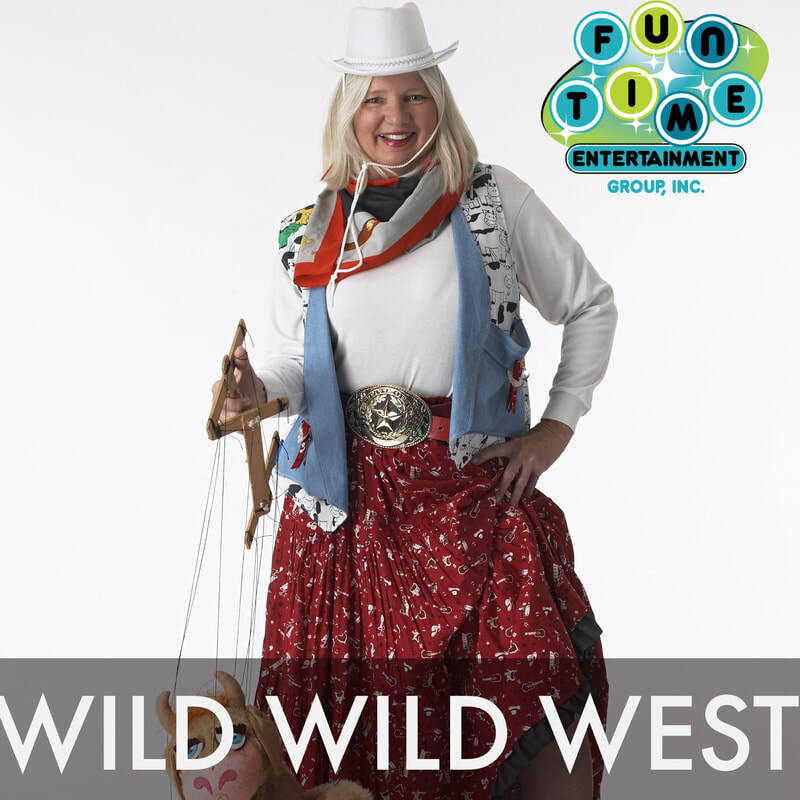 The Wild Wild West cowgirl rides to your school telling tales of the Wild West and demonstrating rope magic tricks. Puppets from the Double “M” Ranch will perform with campfire songs. Stories are sure to be in this show. Love is in the air! Your entertainer is dressed in a huge heart and reads a giant history book about Valentine’s Day. She also gets a great surprise from her Daddy and a present from her secret admirer as well. She has fun with the kids using music and puppets, and there is also some fun with the teachers. 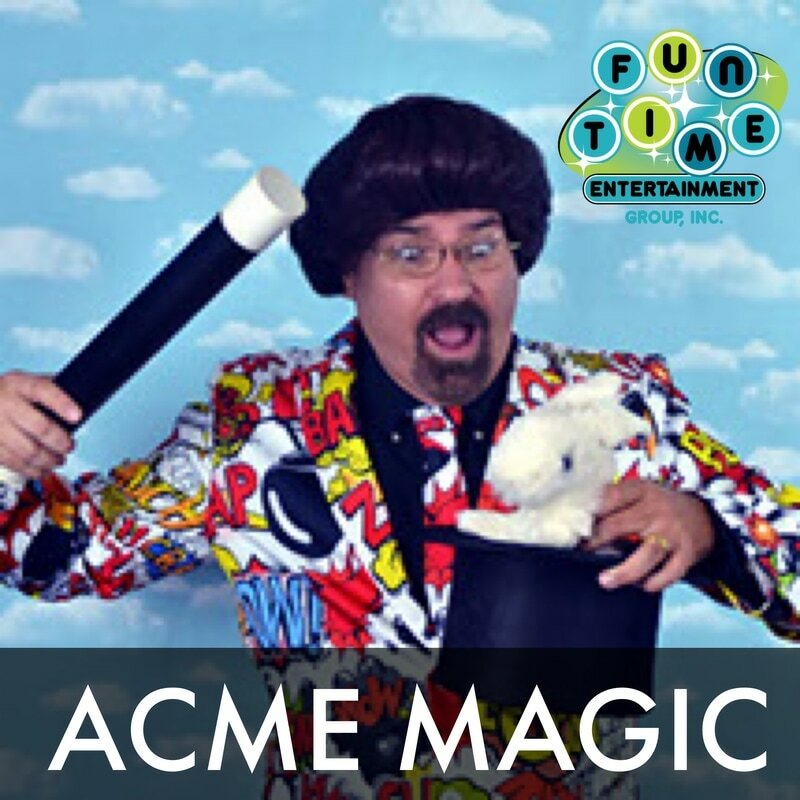 ACME Magic is a wild and crazy magic show based on cartoons. Cartoon characters are able to do impossible things and this is the only time you’ll get to see those impossible things happen in real life. This show is full of things like portable holes, giant magnets, and sticks of dynamite. The minute a cartoon prop is shown the kids know exactly what it’s supposed to do and they are not disappointed. But, it’s not all about the props. The real stars of the show area the children participating. There are ten different magical routines in this performance that use volunteers and all of those volunteers are treated like superstars. Kids LOVE magic! 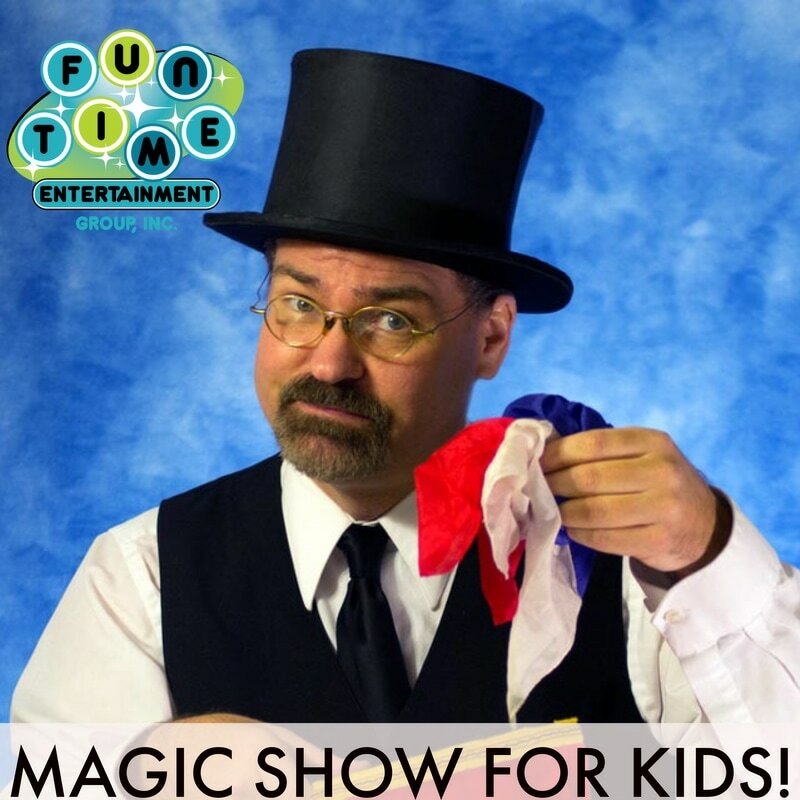 One of our best performers, Brett, has a wild an fast-paced magic show that is guaranteed to keep everyone laughing! Slapstick magic is what this show is all about! This show keeps everyone entertained and laughing! 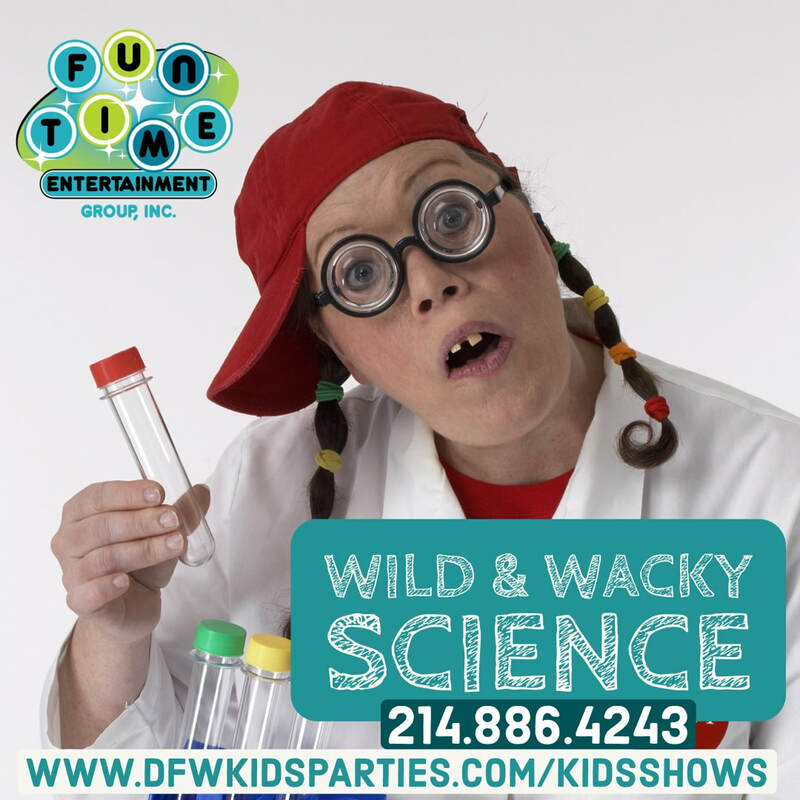 This show is performed regularly at Great Wolf Lodge and the State Fair of Texas...because they know that kids will have so much fun! 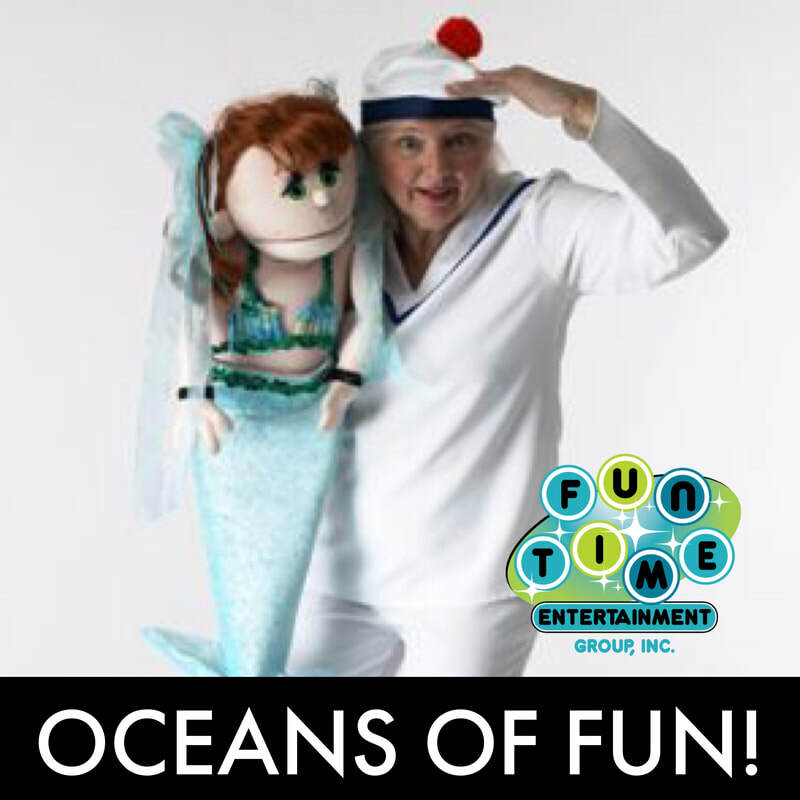 "Oceans of Fun" is a great show with puppets, songs and magic! This show has a pirate boy, a rainbow fish, and a beautiful mermaid who tell stories and sing songs about life under the sea! A magical goldfish will multiply before the children's' eyes as they have a big splash watching this show! ​Everyone loves Legos! In this Lego Challenge, Brett leads everyone on a pirate and mermaid themed adventure. While this workshop teaches STEM curriculum, the kids will be having so much fun they won’t notice they are learning. The adventure begins with everyone “making a friend”. In other words, everyone will get to make a Lego minifigure. Then each challenge will be building things for that minifigure including a raft, a bridge, tools, etc. Brett will bring enough supplies for two hundred minifigures and thirty pounds of Legos. 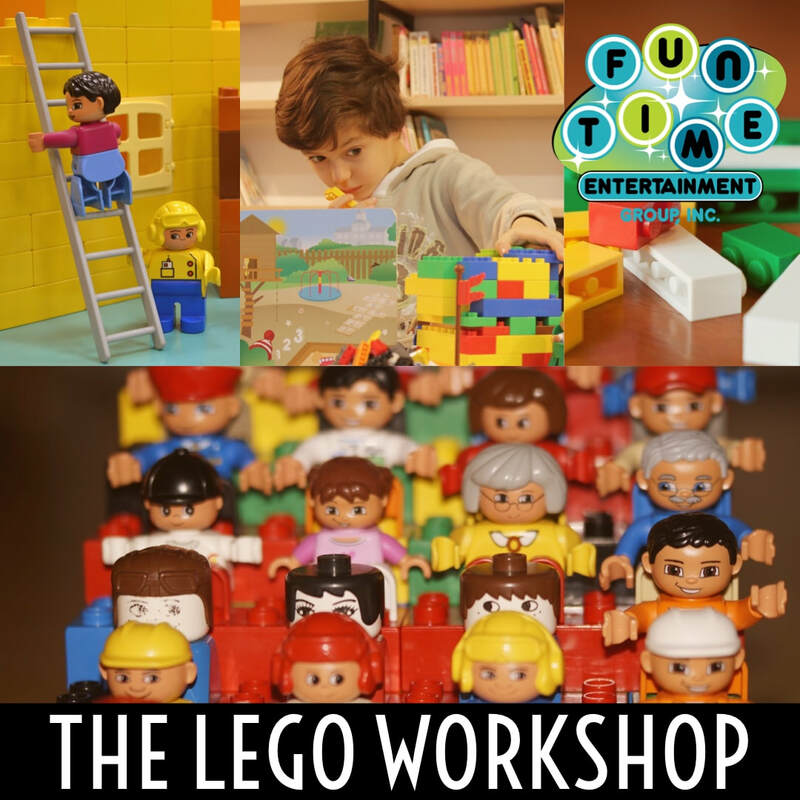 This workshop is designed for kids six and up. The Dean of Recruitment is visiting the muggle world looking for kids that might have a little wizard blood in them. 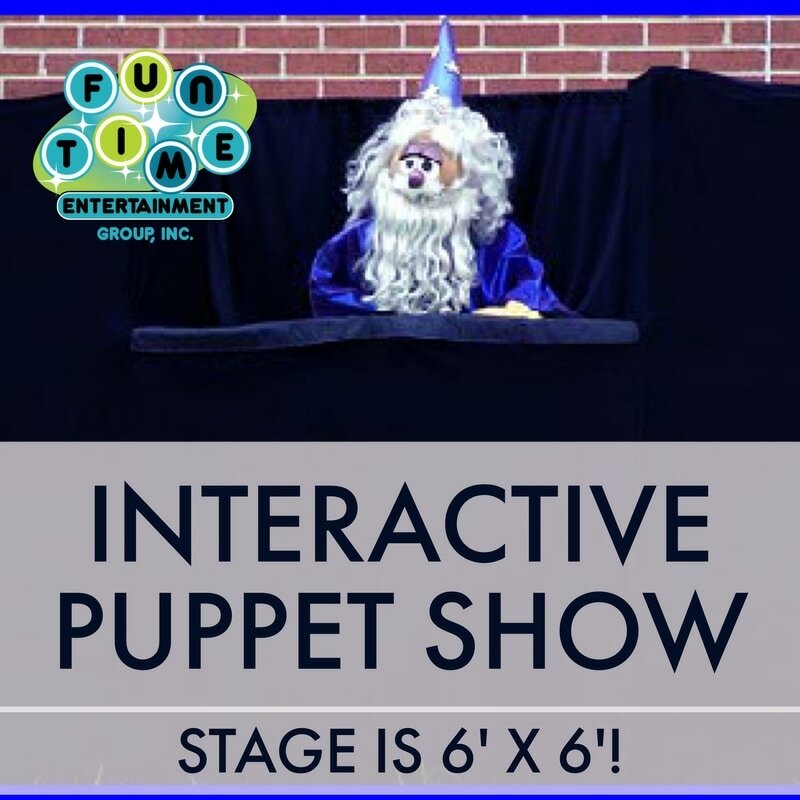 This 45 minute show is full of fun, interactive magic that makes the kids look like they are the ones responsible for the amazing things that happen. 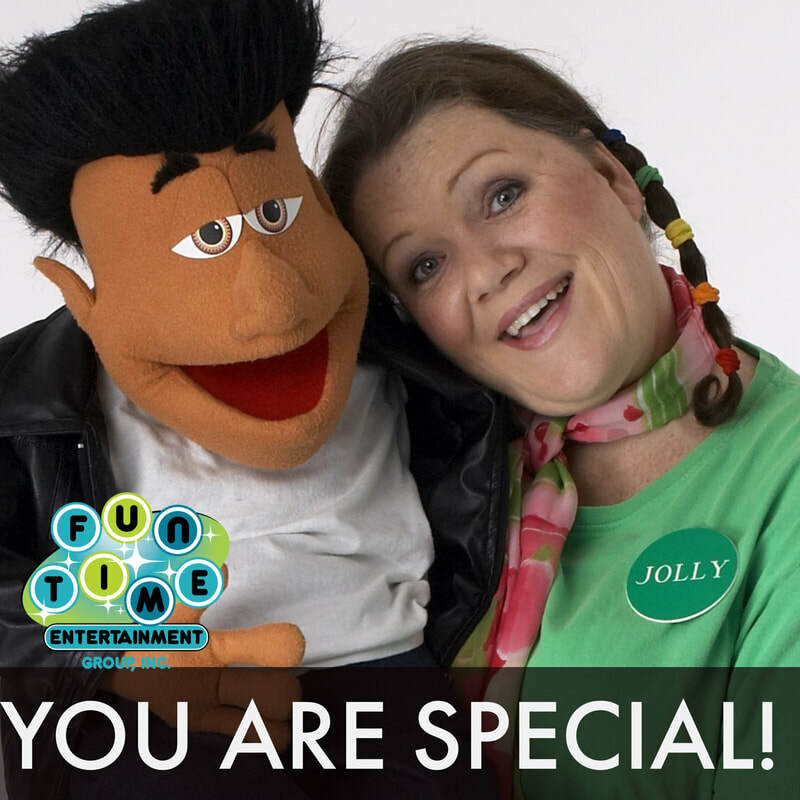 This show encourages reading while promoting self-esteem among young audiences. Heroes Around the World combines magic, and puppets. Not all heroes wear capes and costumes. Join Brett while he searches the world for heroes. There are different values that make a hero. This magic show will give examples of six heroic values and will show how anyone can be a hero. This program combines fast-paced magic, puppetry and storytelling! 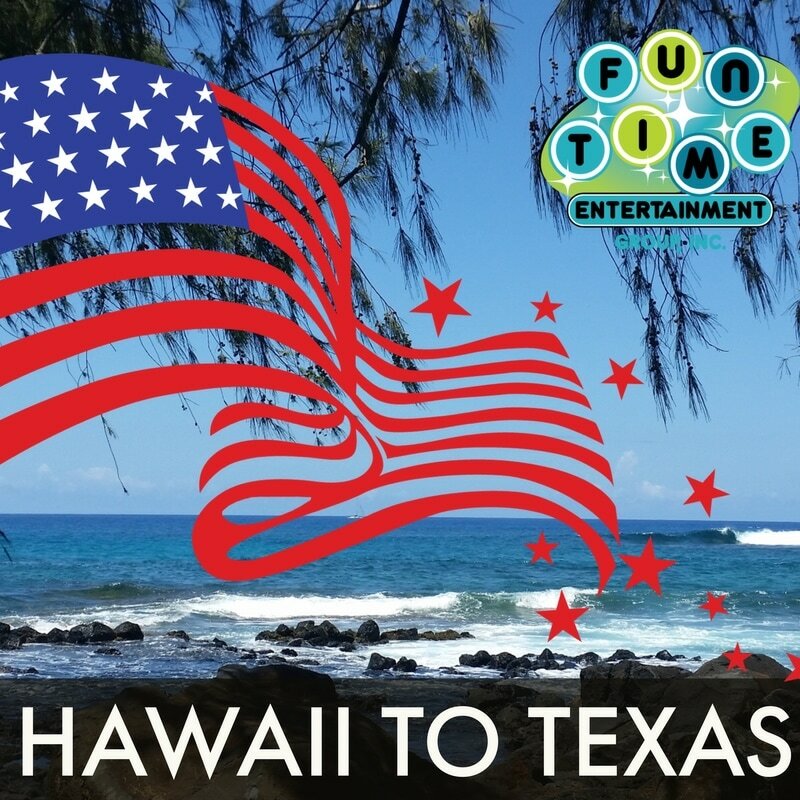 In this show, children learn fun facts about Hawaii, the 49th state in the United States of America! Children will celebrate everything from leis to luaus! The girls have fun learning to dance the hula and the boys learn a surfing song. Hang 10! Kids even play a little trick on the teachers! The limbo game is a must at the end. This AMAZING cooking cowboy show is performed every year at the State Fair of Texas. Here's your chance to see him without having to wait for the fair. This interactive magic show has lots of cowboy related routines. But the real focus is on kids. They are the stars of the show. Most of the magic routines have kids up on the stage helping make the magic happen and some of the magic tricks have everyone helping. 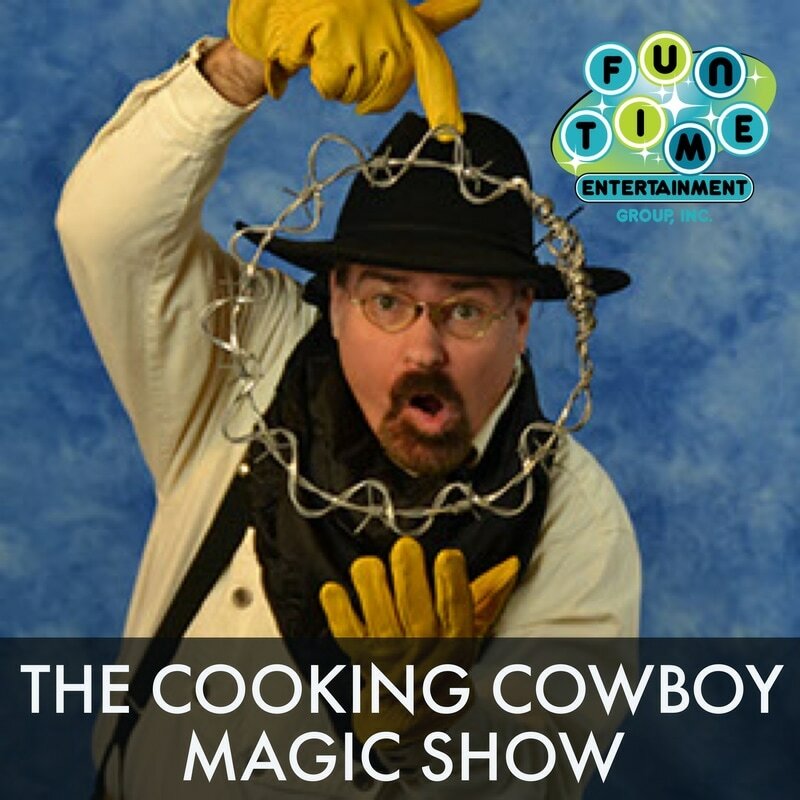 This cowboy cooking show will not only amaze the kids with magic but everyone will get to learn how to perform a magic trick too. That way they can amaze their friends when they get home. And, for the grand finally, Cowboy Bob will get help from his friend Chester the rattle snake. Chester will jump high in the air catching a card, which will make the audience jump too. This family friendly, cowboy magic show is guaranteed fun for kids and adults too! 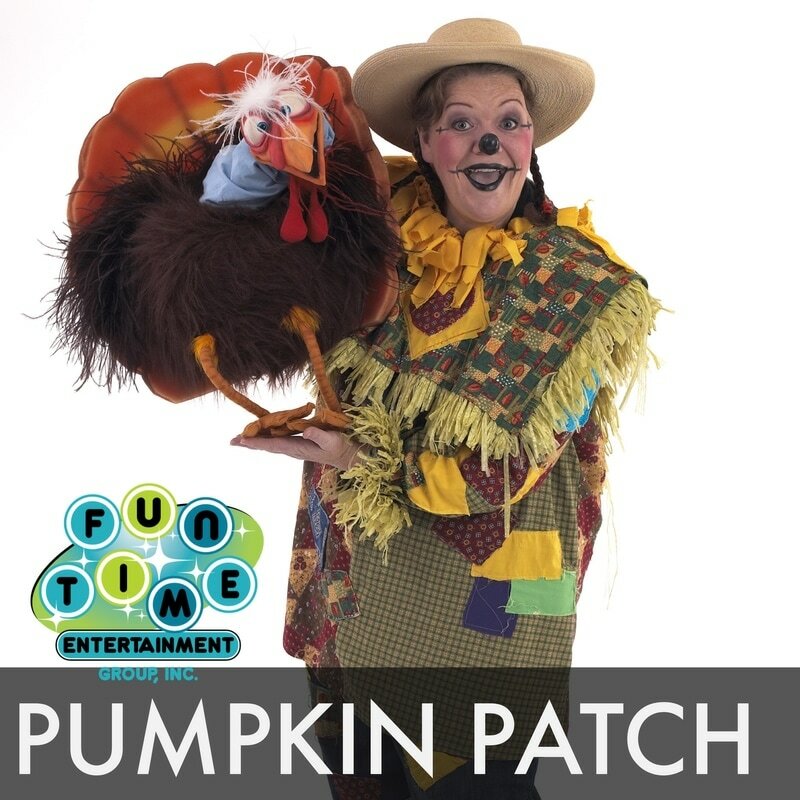 Fall into the fun in our Punkin Patch with the scarecrows Jolly or Golly! Marionette scarecrows and Mr. Bones dance and sing in the patch. We magically grow pumpkins from our seeds. This is a very non-threatening fall show. It's great for little ones! 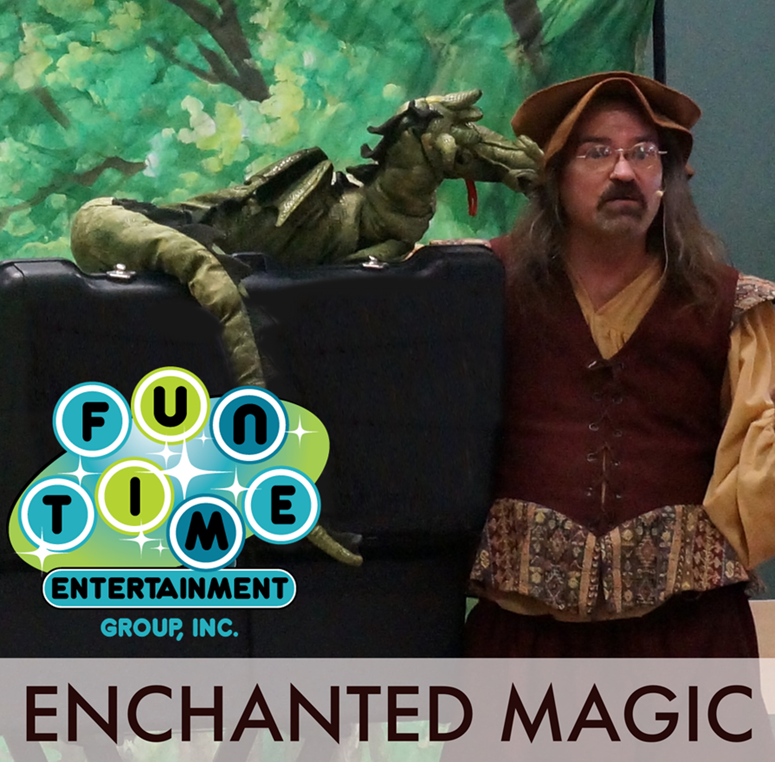 Our performer, Brett, ​leads you on a quest through an enchanted forest. You'll see fairies and dragons along the way. This magic show is full of captivating routines that get everyone involved. You will be transported to a world of wonder and adventure. Girls love fairies and boys love dragons, so this fast paced adventure has something to please everyone. You'll experience magic, stories and lots of audience participation. What colors make up the American Flag? The kids have fun while our performer tries to make the flag with a magical touch using red, white, and blue. 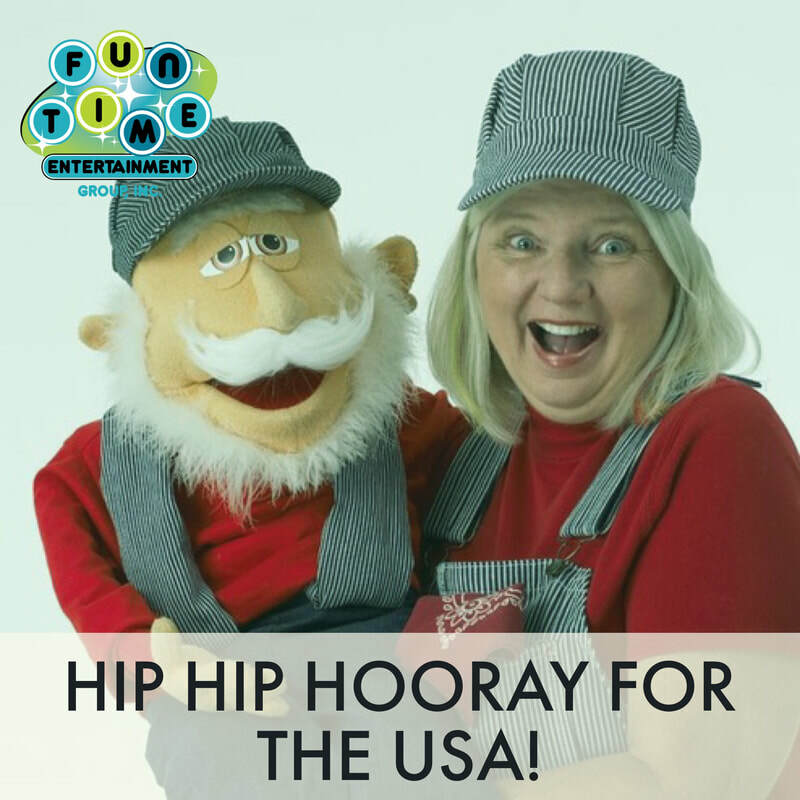 Uncle Sammy is a puppet who teaches everyone about the pledge of allegiance, and helps the audience to sing the Star-Spangled Banner. The kids will have fun playing a game with the BIG hot firecracker! There is a safety message about fireworks too. Since this is all about the birthday of America lets celebrate The audience has a great time and celebrates the birthday of the US with a magical birthday cake! The puppet, Ticklish Ruben, loves to be silly! A little bit of magic can give us a big smile, not a frown. Our puppets sing songs about how special each one of us is. This program is a self-esteem builder. The story of “I am Special” is told. Even though Grandparents Day is nationally held in September, we should honor our grandparents’ everyday of the year! 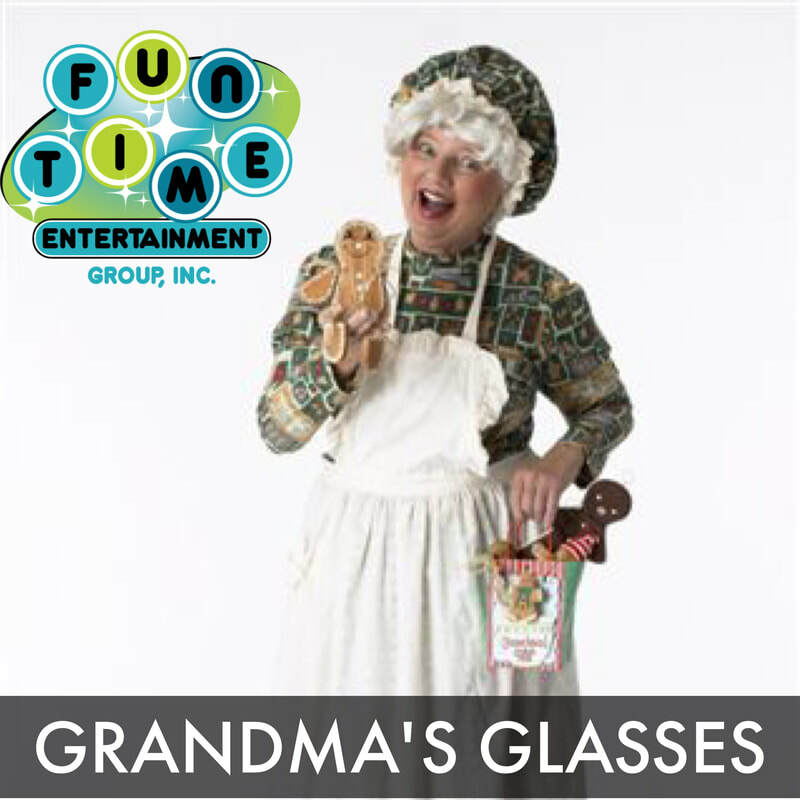 The entertainer comes dressed as a grandmother (Bertha or Mertha), and tells a poem, story, and fun magic tricks as well. She also tells of her grandparents who were special to her. Bertha or Mertha try to play the fiddle, harmonica, and catch big fish like her grandpa did. Grandparents are full of heart and are proud to be a part of you! Explore with us the performance arts with audience participation, magical presentations of sculpting, fine arts, painting, drawing, balloon art, and more. This is an excellent program for K to 3rd Grade. The United States of America has people from all over the world including many from our neighbor, Mexico. 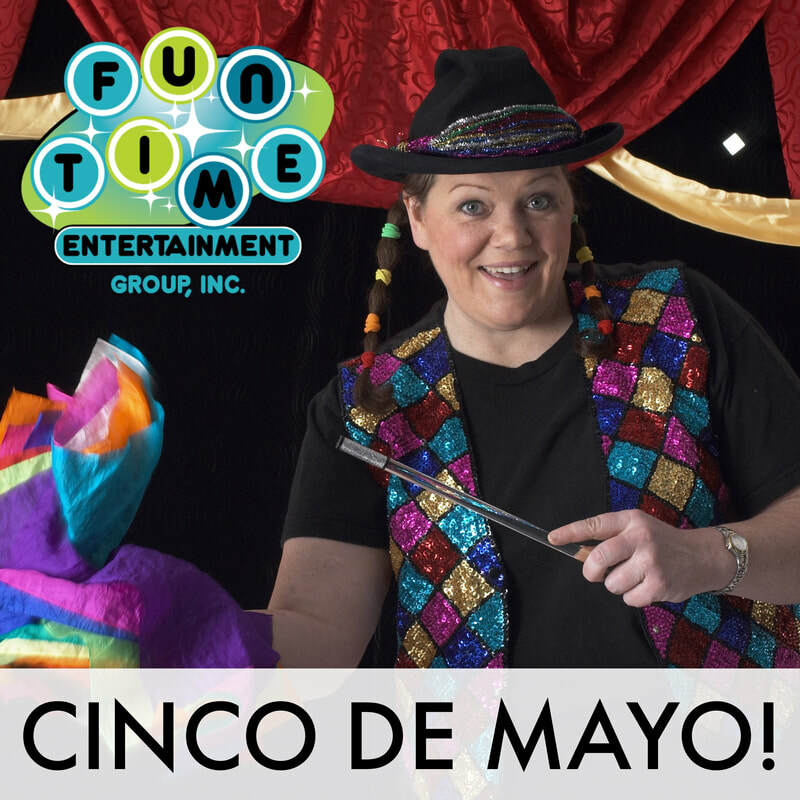 May 5, 1862 is a holiday that Mexico celebrates, so lets have some fun with the Mexican hat dance, magical Mexican flag, Hispanic puppets singing, and lots of laughs. In today's world, most parents are working. A lot of children are required to stay home alone until parents get home from work. Do your kids know how to stay safe when they are at home alone? 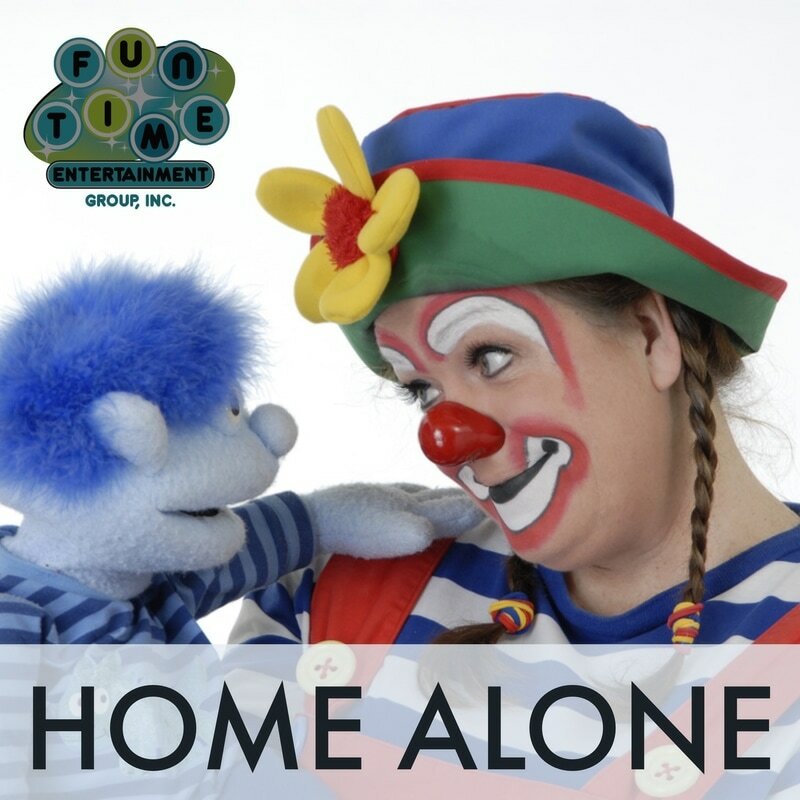 We have a great show to help kids understand some of the safety rules for staying at home alone. "Home Alone" stresses safety while alone at home. The show educates children with magic, music, a game and a "drama" in which the kids are the players! The primary object lessons are repeated throughout the show and reflect principles like, "Don't open the door" and "call back later". Kids are truly entertained as they learn how to navigate the responsibility of staying at home alone. 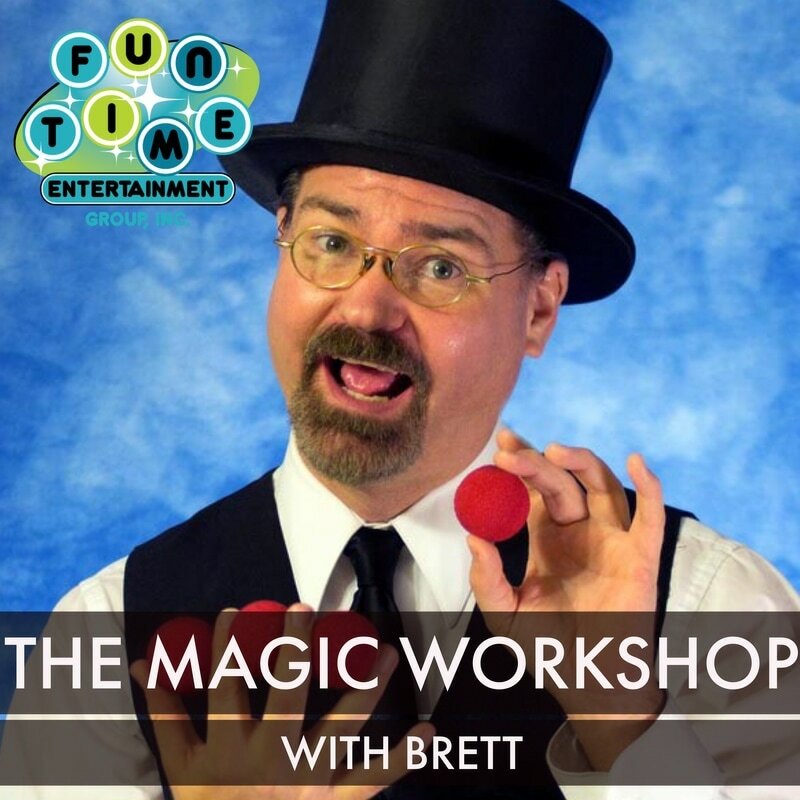 Fun Time Entertainment is proud to offer a Magic Workshop with Brett, one of our favorite performers! The magic workshop is hands on. Children get to make magic tricks and other props to amaze their friends! In this great option, Brett will perform a show, and teach everyone how to do some tricks. After, he will show everyone how to some props for their own magical performance! • This workshop is approximately forty five minutes long. • Every child will get to bring the magic tricks they make home with them. • Each child will get one on one training. Ages: Great for all ages! Space Magic is a fun and fast-paced magic show with lots of audience participation. Children will learn about sci-fi books with Orac the alien. Everyone in the audience will be part of a space race. Children will learn the difference between science fiction and real science. There will be tons of alien puppets from all over the galaxy. And, for the grand finale, kids will take part in a hilarious flag routine where they will learn about the American flag that astronauts put on the moon. This show is for children of all ages. Children love bubbles. Just blow a few bubbles for your children and watch how excited they get. 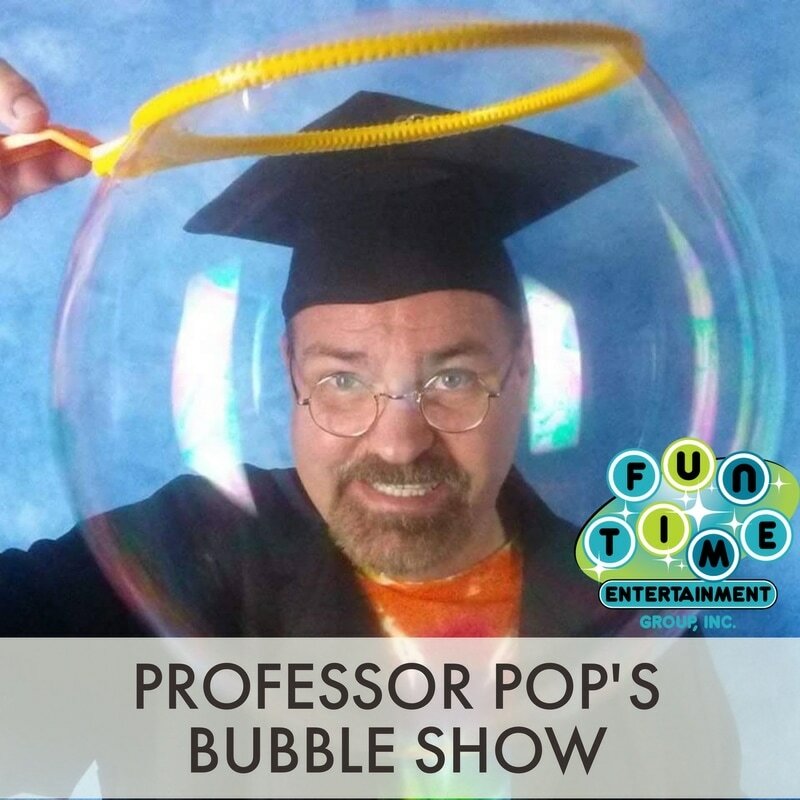 Professor Pop will turn that excitement up to eleven by presenting a whole show full of bubble tricks. There will be bubbles inside bubbles, square bubbles, giant bubbles, bubble themed magic tricks, and more. 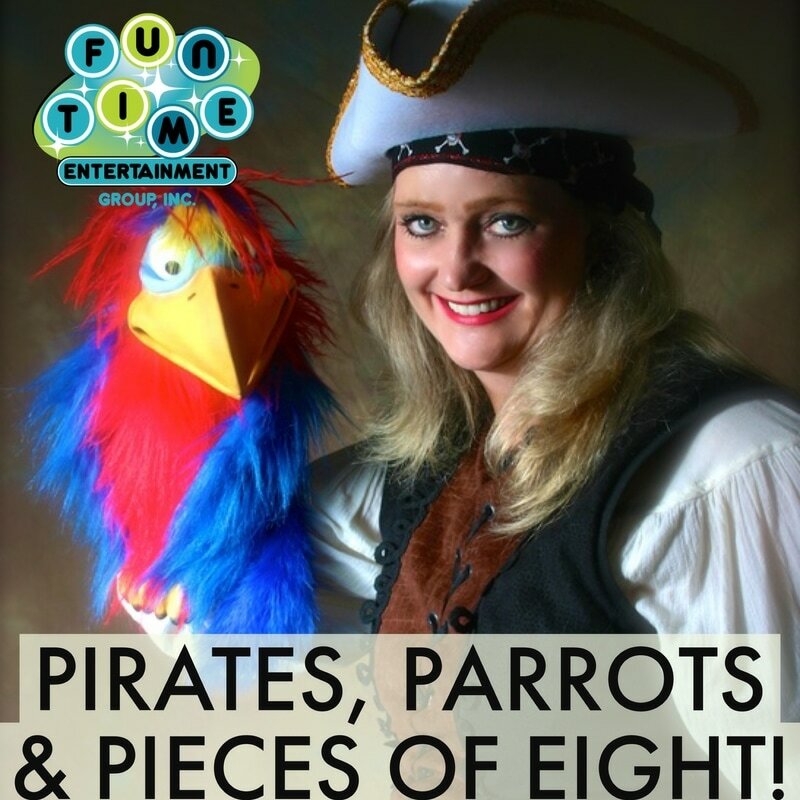 Pirates, Parrots, and Pieces of Eight is a show that encourages reading performed by “Sea Captain Cinde”. It is about 45 minutes and has a pirate theme. It includes magic, puppets, audience participation, music and the production of a live bunny rabbit at the end. It is great for families and children ages up to about 3rd grade. 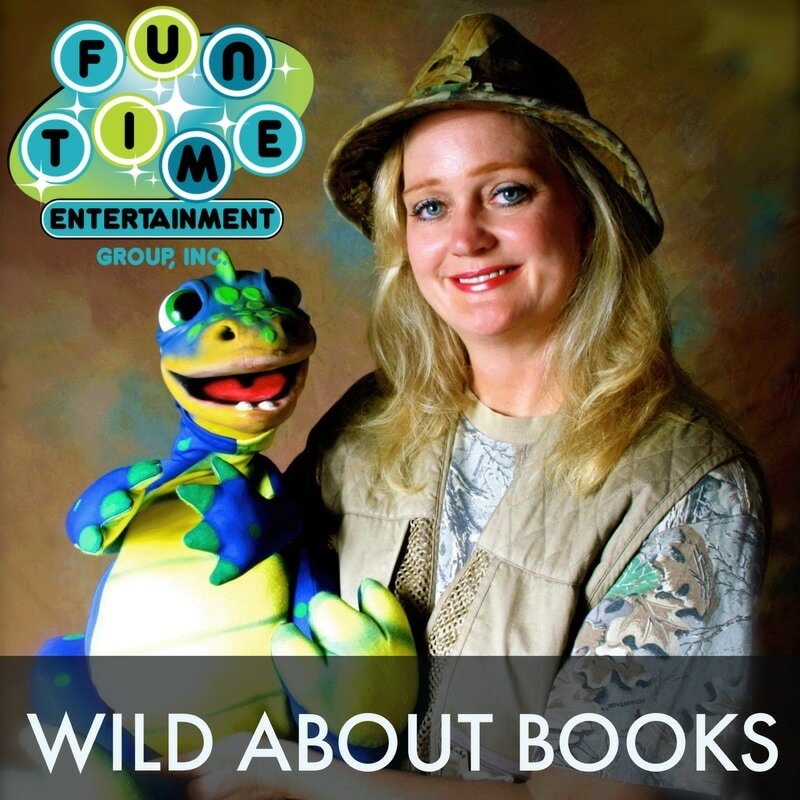 We are now booking The Jungle Show for day care centers, elementary schools, and birthdays! This show is full of puppets, songs and even magic! 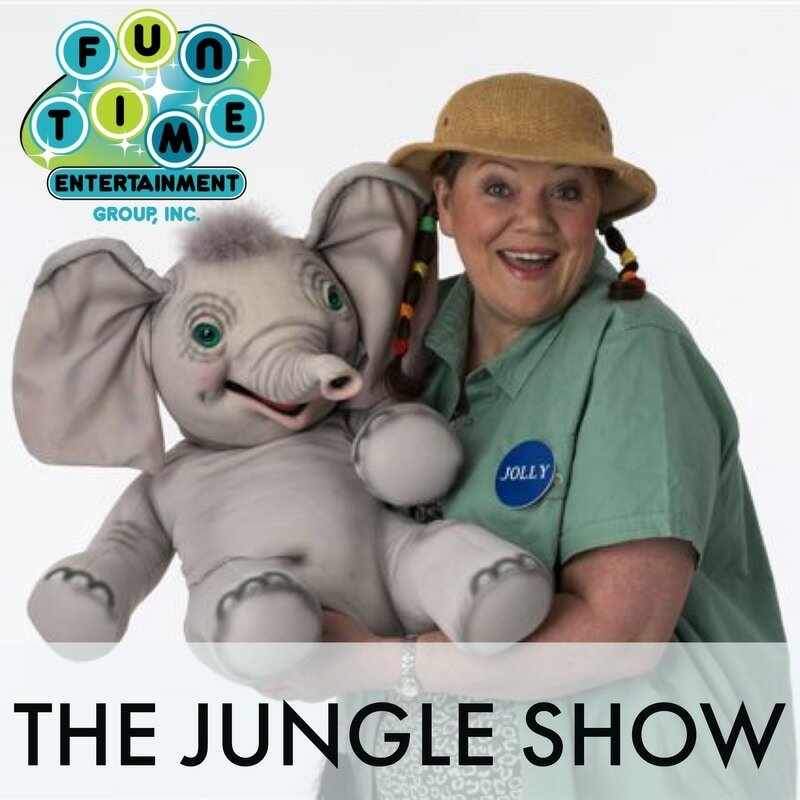 There's a TON of FUN in this great show....elephants, lions, alligators and more! Boopsie the Clown brings a TON of fun with magic, music and comedy! Little ones LOVE Boopsie and her magical show! 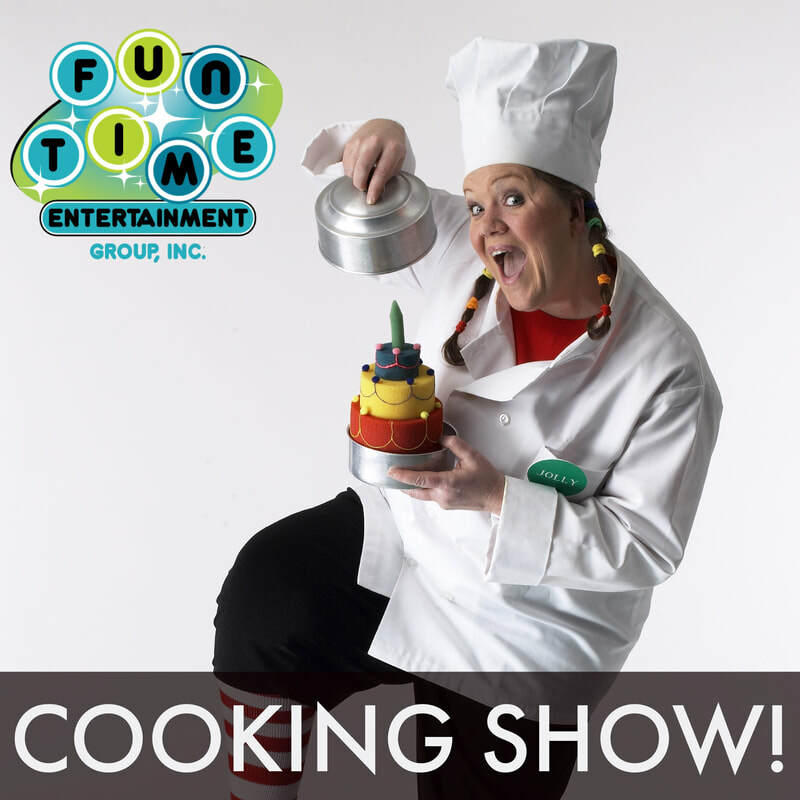 ​The Queen of Cuisine will stir the children through recipes of fun while preparing Mean Soup, spaghetti, ooobee goobies, peanunt butter and spinach sandwiches, pizza, and more.. An old lady may swallow a pie while the kids are playing the fried chicken game. 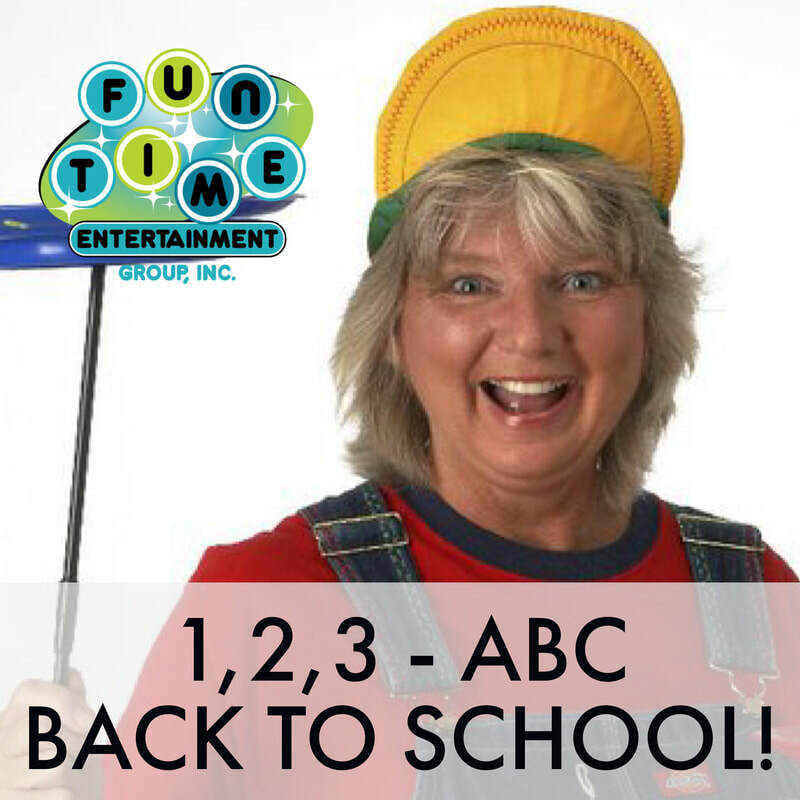 1,2,3, ABC, Back to School! School bells will be ringing soon, so lets get ready to learn. We will disco with the A B C song and review our colors, shapes, and numbers with funny puppets and magical fun. 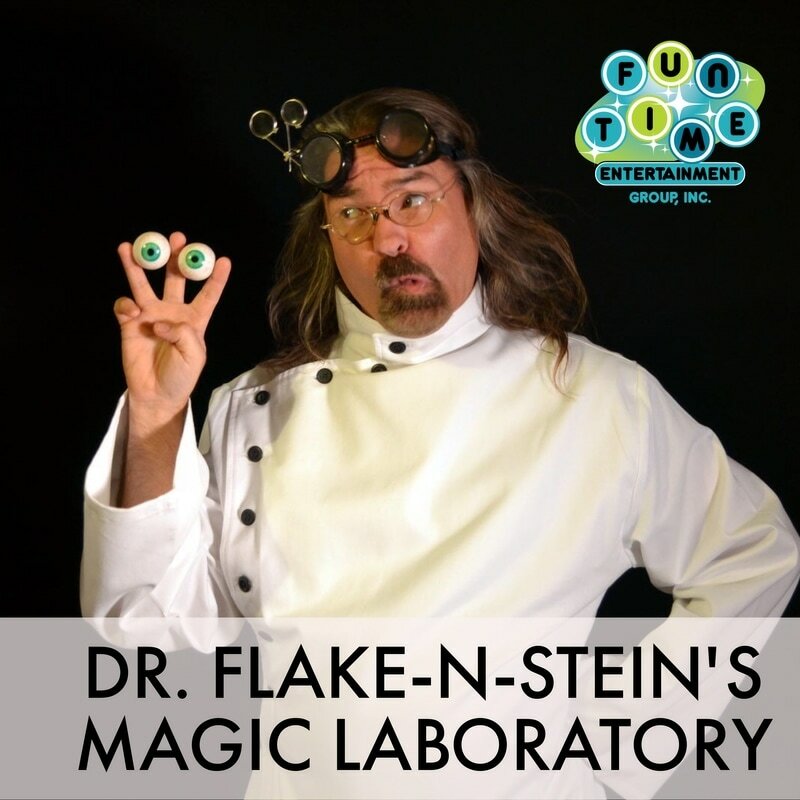 Dr. Flake-n-stein's Magic Laboratory combines magic, robot puppets and science experiments. This highly interactive show lets children participate with magic tricks, and they will also help with real science experiments. These experiments are all safe to do at home. So, children will be encouraged to try the experiments well after the show is over. This show is educational and fun! 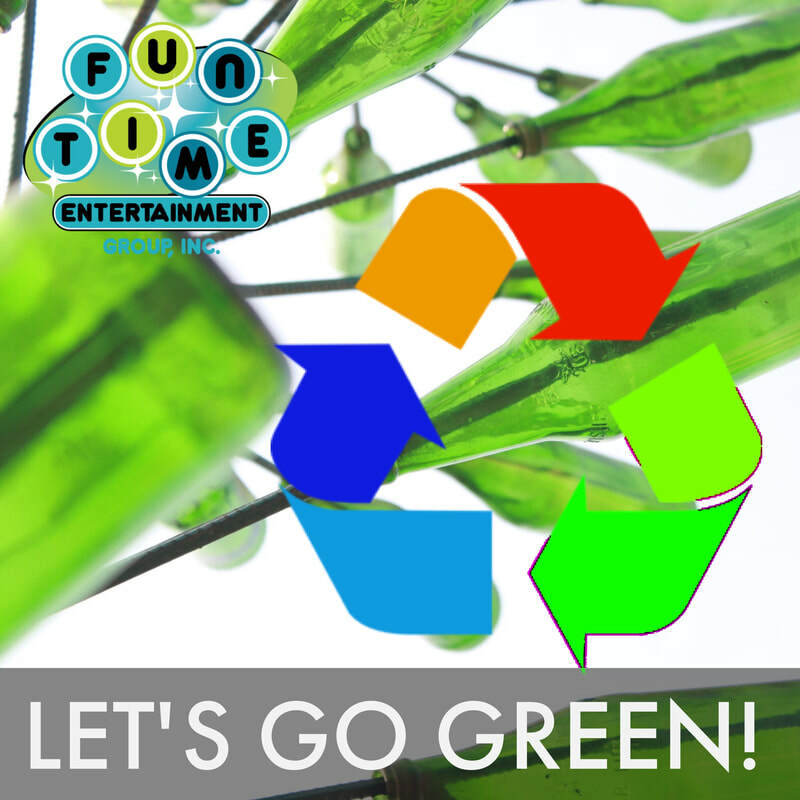 During this show, our performers (either Susan or Tricia) will come to your school or home and talk about going green! Kids will learn about recycling and taking care of our planet with magic and visual aids. This is a fun and educational show! Interactive Puppet Show with Brett! Children just sit and watch most puppet shows, but everyone will get involved in this performance. This presentation is full of games and routines that get the whole audience will participate in. This is a fifteen minute show designed to be performed several times a day. 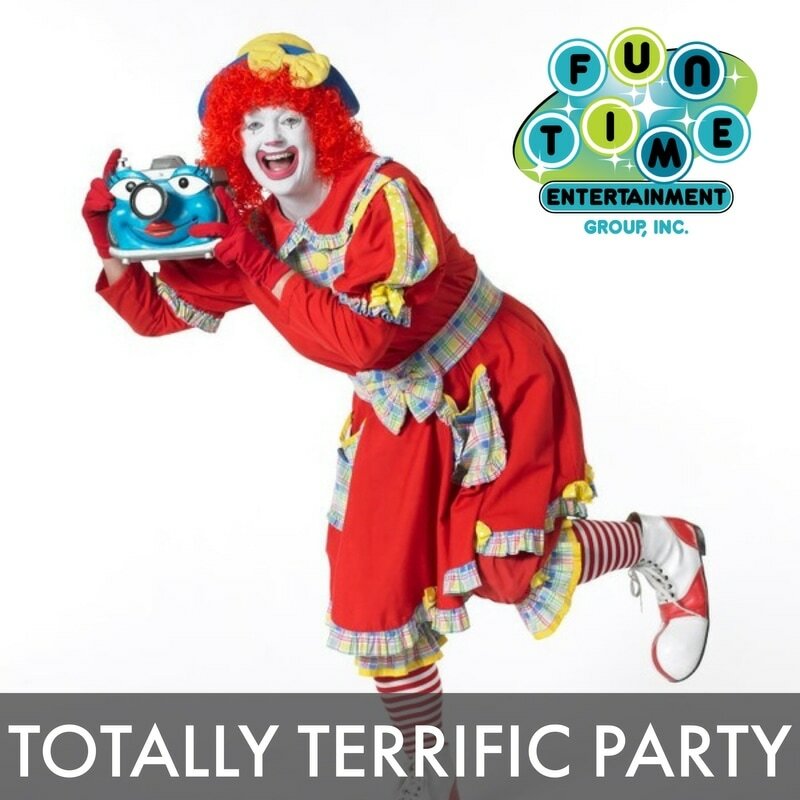 How would you like to fill your event with fun and excitement? Here’s a way to do it with the least amount of hassles. Brett Roberts offers a perfect solution to making your event one that people will be talking about for years to come. How simple is it? All you have to provide is an area for a stage and access to electricity. We will provide the rest… In fact, if you are only interested in strolling entertainment, you don’t have to provide a thing. HO HO HO! It’s almost Christmas so let’s have some fun singing with the elves Jolly or leoN-or Mrs. Claus. Not everybody has been a really good kid, just like one of our puppets who’s getting ‘Nuttin For Christmas’. We magically produce a snowman here in Texas. The older kids or teachers get to perform in the hand bell band. Christmas is not Christmas without a little story to be told or without the popular song, Rudolph the Rednose Reindeer. 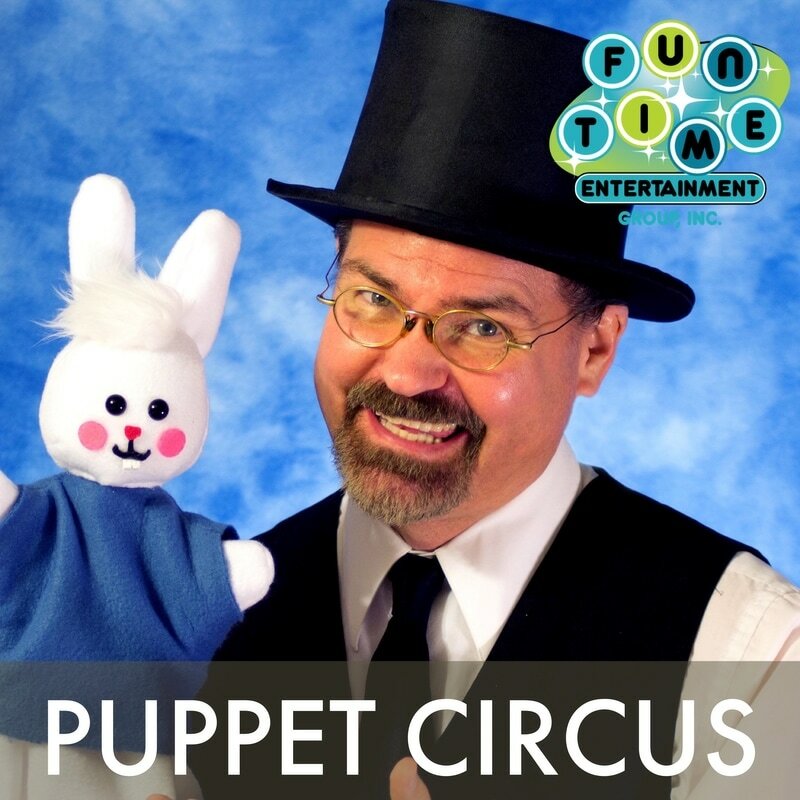 The Puppet Circus is a WONDERFUL fun-filled puppet show for kids! This performance is a showcase of the best routines from Brett's summer tours. Each routine is under four minutes long and jam-packed with fun and humor! There is a trapeze swinging monkey, a lot of fun and fast-paced magic tricks, a singing lion and more. 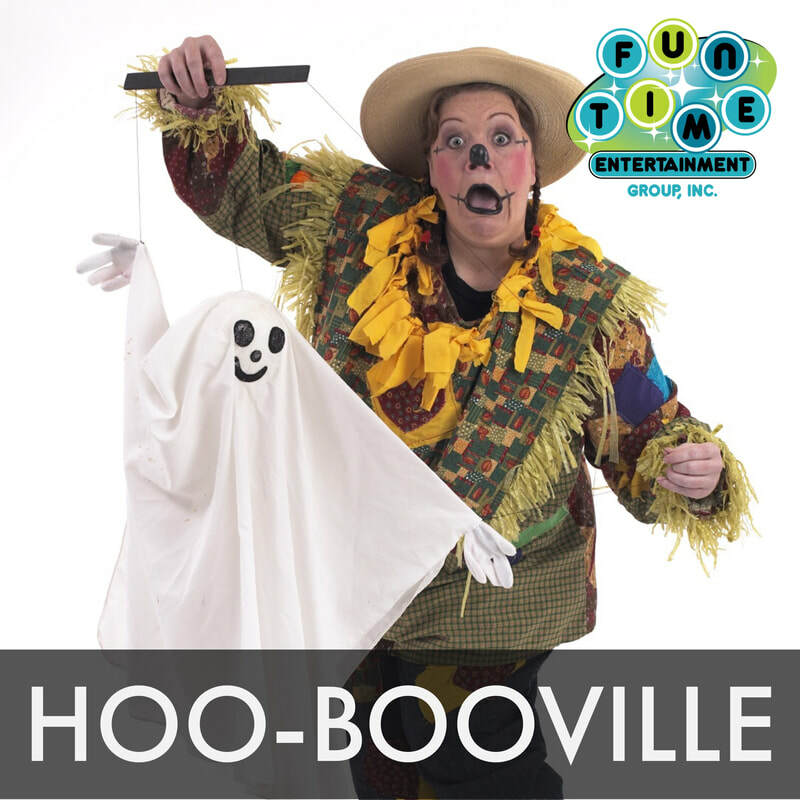 This show has different styles of puppetry and a variety of funny, slapstick magic tricks that amaze and entertain! Kids will have a blast watching this show! 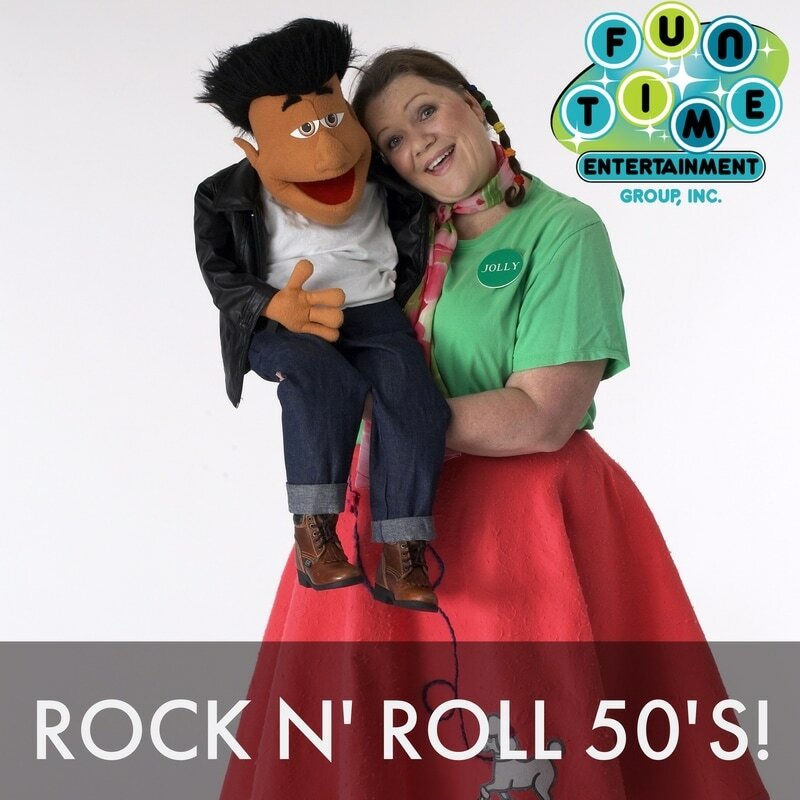 We have a rock 'n' roll show introduces little ones to that original 50's-style music! Our performer will come to your home or school in a poodle skirt and ready for musical fun! Children will hear songs from the 50's performed by special puppets, watch some fun retro magic, a bubble gum contest and more! Elvis (puppet) will join the party for a song, too! St. Patrick's Day comes once a year, and many children don't know what it's all about! We have a wonderful St Patrick's Day show for the wee ones! 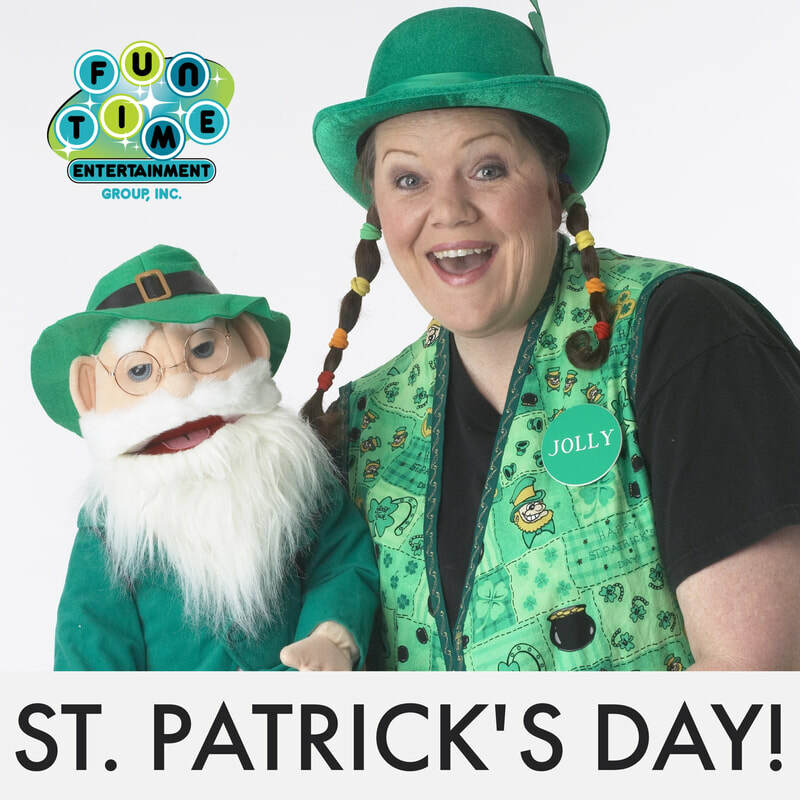 This show teaches them to have fun the Irish way while learning some of the great traditions and legends surrounding St. Patrick's Day. Kids will learn about the leprechaun, gold coins the snake and MANY other things that go with the color GREEN! Kids have a blast learning about this day, watching magic tricks and interacting with puppets. We look forward to hearing from you and seeing you wear GREEN!